Alex Rodriguez, one of the baseball's most loathed and controversial players, and the New York Yankees announced earlier today that the polarizing "A-Rod" is nearly finished with the team and will soon enter a new role as "special advisor" to the club. The New York Yankees, one of baseball's richest teams, will be releasing Rodriguez. Assuming that no other team elects to pick up Rodriguez, the Yankees will need to eat over $20 million in salary commitments over the rest of this season and all of next year. Since being drafted by the Seattle Mariners in 1993, Rodriguez has signed deals worth over $500 million. After playing out 3 year/$1.3 million and 4 year/$10.7 million deals with the Seattle Mariners, Rodriguez shocked the baseball world when he inked a 10 year, $252 million deal with the Texas Rangers in 2000. Such deals are commonplace nowadays, though at the time, this contract shocked the entire baseball world. Less than four years later, "A-Rod" would be traded to the only team in the league (at the time) who could really afford his contract - the New York Yankees. As part of the deal, the Texas Rangers agreed to give the Yankees $9 million in deferred compensation. In December of 2007, the remainder of Rodriguez's deal was ripped up and he inked a new 10 year, $275 million deal with the Yankees. This is a deal that the Yankees would end up sorely regretting - especially the second half of the deal. Rodriguez would end up winning one World Series title while in New York. His time with the club, however, would be greatly marred by long streaks of unproductive play, especially in the playoffs. In addition, Rodriguez caused a great deal of controversy when he was suspended for the entirety of the 2014 season due to his involvement in the Biogenesis scandal. Rodriguez would also admit to using steroids earlier in his career. After serving out his suspension at the age of 39, Rodriguez STILL had three years left of his contract which was set to pay him $22,000,000, $21,000,000 and $21,000,000 per year. The Yankees were left to deal with this albatross for three years - an unpopular player with declining production who had alienated many of his teammates. With the Yankees engaging in a youth movement in order to regain their standing in Major League Baseball, Rodriguez, with his miniscule batting average, needed to go. Rodriguez played less and less this season and was seemingly glued to the bench. The Yankees finally made their move earlier this week, as they reportedly told "A-Rod" that they intended to release him. With no other teams interested in his services, Rodriguez elected to remain with the club as a special advisor. 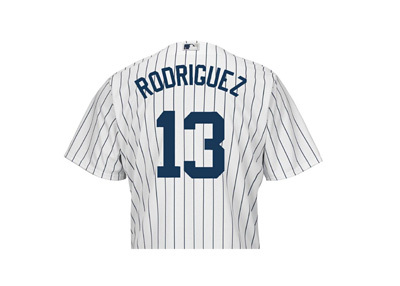 In addition, Rodriguez will get a few more games with the club before hanging up his cleats next week. In the end, Rodriguez was a special talent whose career was tainted by PEDs. Despite putting up Hall of Fame numbers, Rodriguez will almost certainly never get into the Hall of Fame.